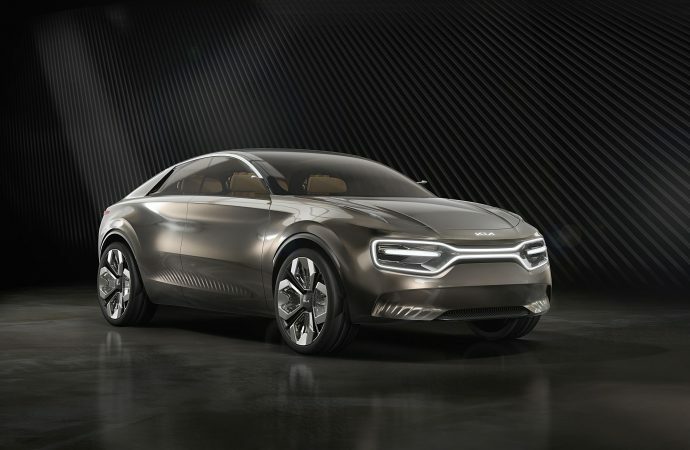 KIA has ‘imagined’ a new concept machine for the Geneva Motor Show — the Imagine by Kia. Unveiled today, this all-electric machine is Kia’s first demonstration of a battery electric four-door car and is dubbed as a ‘category buster’ by the South Korean firm. It takes various design elements from SUVs, saloon cars and crossovers to create this jack-of-all-trades look. Although Kia hasn’t given technical details of the concept, it says it uses a whole new platform designed for electric machines — unlike its current EV in the range, the e-Niro, which takes its underpinnings from its hybrid stablemate. Its most eye-catching design detail is its illuminated ‘tiger mask’ grille up front, which encircles the main LED headlamps. Kia hasn’t confirmed if this feature will ever make its way to a production car, but its statement that ‘it marks [the concept] as a Kia for the 21st century’ strongly hints that we will see some of these styling cues in the future. The manufacturer has also paid particular attention to the way lighting affects the visuals of the car. Using ‘a human approach to design’, its bodywork catches light in such a way to give the constant impression movement — even when viewed at a total standstill. Its six-layer chrome-effect paint also reacts to lighting conditions to highlight the concept’s sharp look. 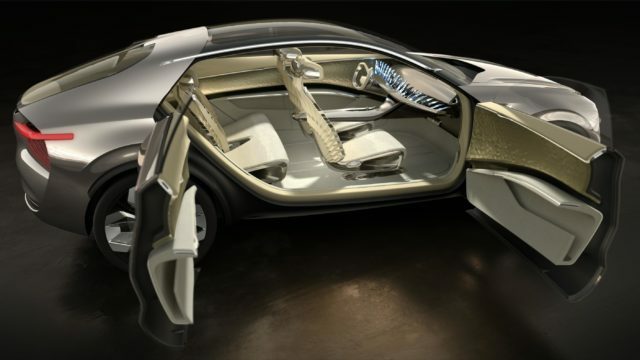 Other exterior highlights of note on concept include the use of a single piece of glass for the windscreen and roof to create an airy atmosphere in the cabin, while wrap-around brake light strips are a direct tribute to the Kia Stinger fastback. There’s also 22-inch alloy wheels with glass inserts, again designed to manipulate light to highlight its aesthetic. Hop inside the airy cabin — using either the conventional front doors or rear-hinged back units — and occupants will be met with 21 high resolution screens. Yes, 21. Kia admits this is done somewhat jokingly, with vice president of design for Kia Europe, Gregory Guillaume, saying: ‘These 21 incredibly thin screens are a humours and irreverent riposte to the on-going competition between some automotive manufacturers to see who can produce the car with the biggest screen’. Wondering when it’ll hit roads? Well, the Imagine by Kia has already confirmed to not be heading to production — so don’t pull wallets out just yet. Do expect many design elements to make it to future Kia cars though, albeit maybe not the 21 screens.